Pets have become a part of our lives, we have a strong affection with them after we live with them for a long time. However, compared with human beings, pet's life is always short, and it's inevitable to have final separation. Put your pet photo into vivid pet portrait painting and hang it at home, it will always guard on your side, it will let your pet become a unique canvas artwork, and you can show it to your friends and family. The painting will also help you remember the good time you stay with the pet. Pet portrait painting is one of the most distinctive oil painting, now it's very popular to have custom pet oil painting as our collection or gift to friends, this is a new thing. On the wall at home, the painting with the right frame will add artistic atmosphere to our house. You will be able to reflect the distinctive taste. 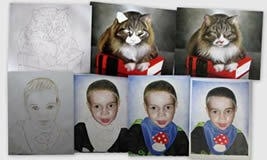 Love your pet, then turn you pet photo to pet portrait painting. In past days, people have pet just to accompany with them when they are lonely. Nowadays, most of us have pet as our friends. It can comfort us when we are down, never betray us as human beings. Since they are so important, why not making an oil painting for them? Making them become our forever memory. What price of pet portrait painting? Pet Oil Painting From Photo price is decided by themes and size of the painting. On PortraitPaintingShop website, pet portrait painting price is generally from $70 including shipping cost. You can find more Pet Portrait Painting Price on our website http://www.portraitpaintingshop.com/price.asp. 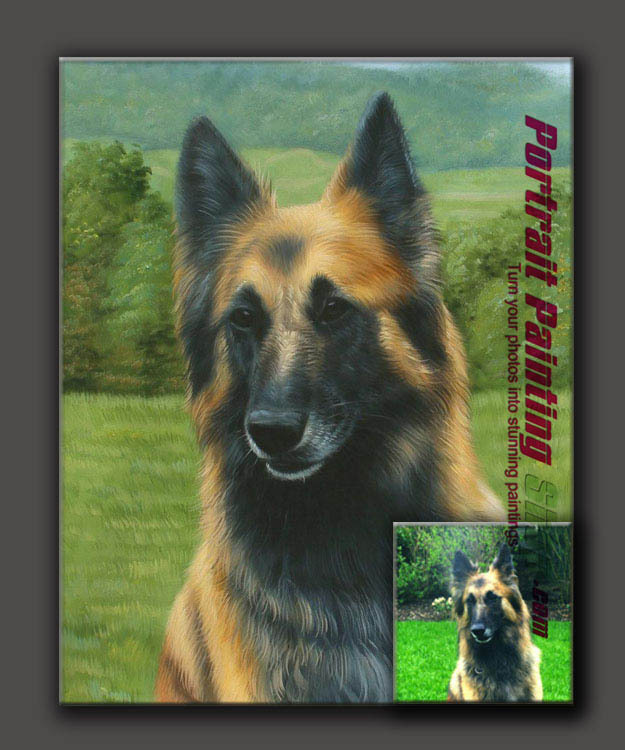 PortraitPaintingShop website has been engaged in Custom Oil Painting for 15 years, most of the pet portrait painting are sold to western counties. All the artists are professional and have the experience of more than 10 years.